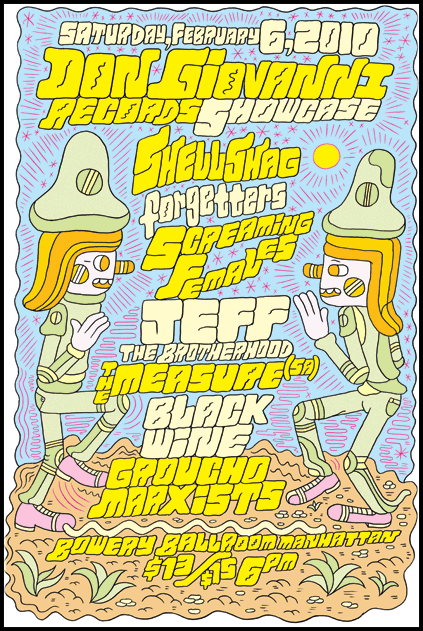 On Feburary 10, Don Giovanni Records will release an EP of six songs from four rare Screaming Females 7″s. The collection is generically titled, Singles. If you are not familiar with the Females’ brand of NJ DIY punkish rock and roll, you really need to listen to this. Here is the promo mp3 from the EP. There is no preorder yet at Insound or The Don Giovanni Store, but there is at Amazon. Screaming Females is on Myspace. Screaming Females is on Facebook. Screaming Females has a store. Screaming Females has a blogspot. Right-click save as… Or apple-click… Or get DownThemAll!